The challenges faced by environmental scientists today are vast, complex, and multi-faceted. For instance, predicting the fate of an environmental pollutant or understanding ecosystem responses to climate change, necessitate a firm understanding of molecular structure and dynamics of environmental media as well as the components that exist and interact within this media. Furthermore, linking information obtained at the molecular-scale to ecosystem-level processes is a major pursuit of modern environmental research. As such, NMR spectroscopy and its scalability from the molecular-scale to the macroscopic-scale, is facilitating rapid growth in environmental science. 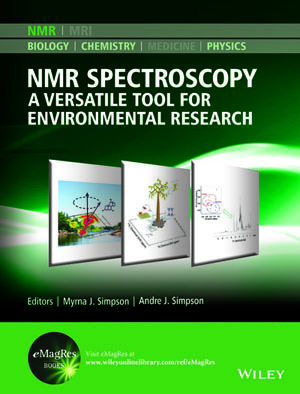 In addition, the versatility of NMR spectroscopy has resulted in the development and implementation of different types of NMR techniques to examine the structure of various types of environmental samples, living and non-living, as well as the study of critical environmental processes.